BEAMSVILLE, ON – A brewery that has been in the works for close to two years has announced that it will be officially opening later this week in the heart of Ontario’s Niagara wine and fruit country. 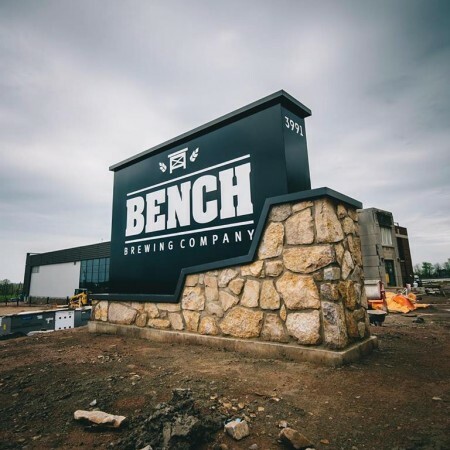 Bench Brewing has been founded by Matt Giffen, and was launched in 2016 with contract brewed versions of beers including Balls Falls Session IPA, Twenty Mile Farmhouse Ale, and Citra Grove Dry-Hopped Sour available retail outlets and licensees while construction of its bricks-and-mortar brewery took place. The brewery is also notable for featuring a two section brewhouse separated by an airlock, with one dedicated to “clean” beers made with traditional brewing yeasts, and the other to beers brewed with wild and funky yeasts. The latter section includes one of the largest coolships in North America which will be used for open-air fermentation. Bench Brewing is located at 3991 King St. in Beamsville, and will open its retail store and taproom on Friday June 29th. Business hours will be 11:00 AM to 9:00 PM daily. For more details, see the Bench Brewing website and Facebook page.